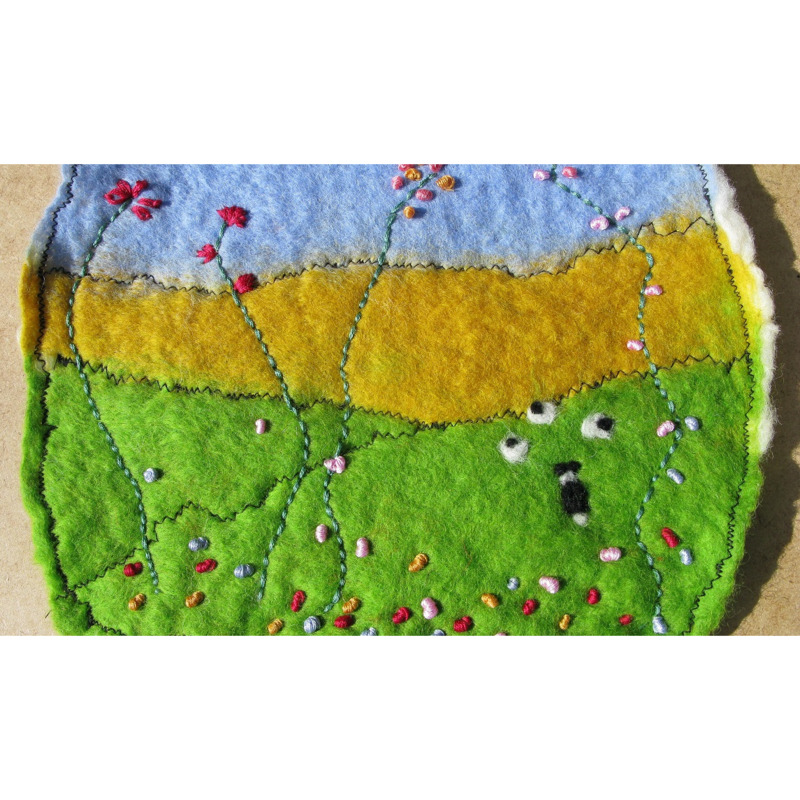 On layers of white merino wool in blue, green and yellow, added flower details before Wet Felting. 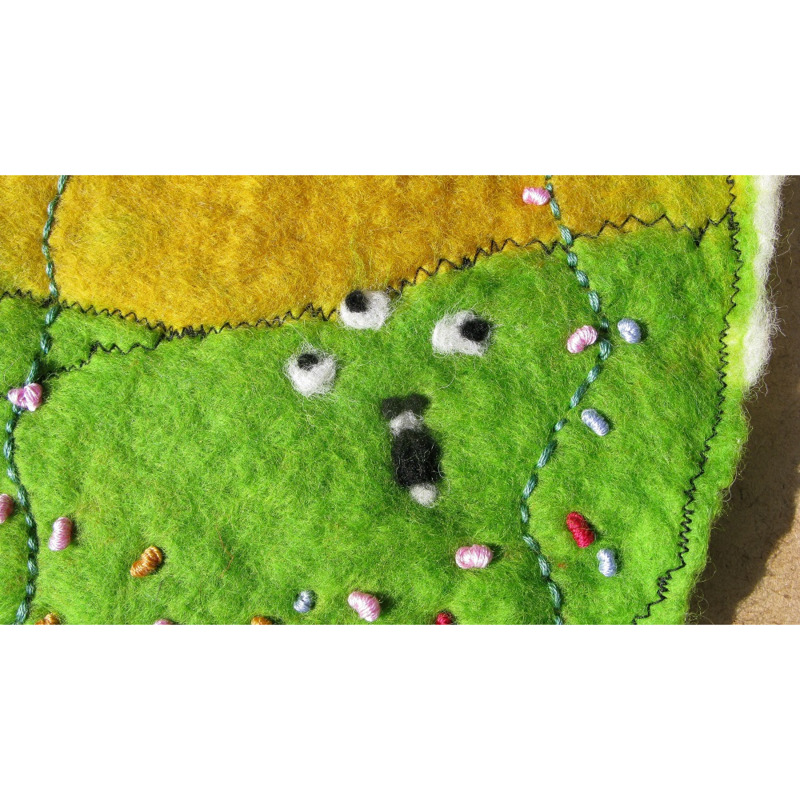 Love the warmth and dimples of home made Felt. Size of picture approximately 23 cm x 21 cms.